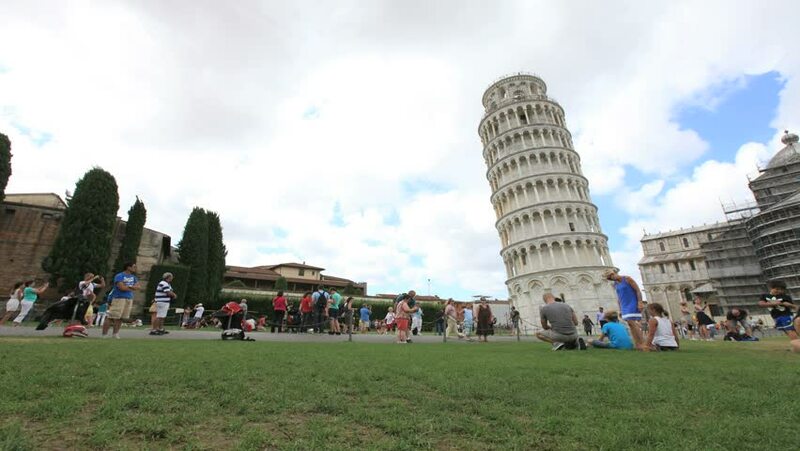 PISA, ITALY, August 2014: Leaning tower Pisa landmark time lapse. 4k00:09PISA, ITALY - JUNE 12016: Tilt up Leaning Tower of Pisa; angled Bell Chamber on top, which was designed to help stabilize the lean. Tower was built over 199 years beginning in 1173.